Cheap Trick kicked off their extensive 2015 live schedule with a headline performance during NASCAR Weekend in Las Vegas in March. The band played a free show at the 12th Annual RaceJam concert at the city’s Fremont Street Experience while in town to co-host Rock N’ Roll Fantasy Camp with members of Blue Oyster Cult at the Mandalay Resort and Casino. That same month, the group hit the road for dates in Australia and New Zealand before launching a North American tour in Austin, Texas in April. A Cheap Trick performance of the Lynyrd Skynyrd classic “Gimme Back My Bullets” from a November 2014 all-star tribute show for the Southern Rock legends surfaced in July as part of the lead-up to the release of “One More For The Fans”, a 2CD/DVD set featuring highlights from the event. August brought news that original drummer Bun E. Carlos had dropped a 2013 breach of contract and trademark infringement lawsuit against his fellow band members. Carlos said he and his bandmates signed an agreement in 2010 which noted that while he would step away from performing live – he was replaced by guitarist Rick Neilsen’s son Daxx – he would remain an equal partner in the various corporations through which Cheap Trick conducts its business. 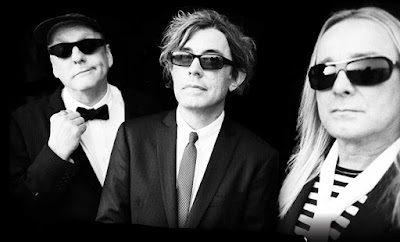 In 2014, Cheap Trick members filed a countersuit against Carlos stating the drummer was ousted from the group when he stopped touring and that the move left him subject to removal as a corporate director without a unanimous shareholder vote. The legal issues were eventually settled between the two sides when Carlos dropped his lawsuit. On October 8, the Rockford, Illinois band were named among 15 nominees under consideration for entry into the 2016 Rock And Roll Hall Of Fame, and Cheap Trick were confirmed as an inductee on December 17. The group will enter the Rock Hall alongside Deep Purple, Steve Miller, Chicago and N.W.A. at an April 8, 2016 ceremony in New York. This past week, Carlos said he expects to reunite with his bandmates to perform at the group’s induction next spring despite the animosity brought by the lawsuits.